After two months of deliberation and just one day before the trial is set to begin, the jury was selected for the Boston Marathon bombing trial. The jury of 18 people includes 10 women and eight men from diverse professions that are representative of both Boston’s professional and working class populations. But although the professions of the jurors range from a fashion designer to an engineer to a bookstore employee, the entire jury has one major thing in common: All 18 jury members are white. The finalization of the jury comes less than a week after lawyers for Dzhokhar Tsarnaev, the 21-year-old suspected of the Boston Marathon bombing, asked a judge to either dismiss the indictment or suspend the trial because the jury pool was lacking minorities and young people. The defense said that the way the selection process was conducted undercut the randomness of summoning jurors and that, moreover, the lack of randomization undermined their client’s constitutional right to have a jury representative of a “fair cross section of the community,” the Chicago Tribune reported. But prominent Boston defense lawyer Martin G. Weinberg pointed out to The New York Times, demographics are not the key concern for the jury in this case. Rather, it’s the jurors' view on the death penalty that’s paramount. “The defense has been very vigorous in challenging the validity of the jury process and the venue, but they’ve lost," he said. The jury selection process started two months ago on Jan. 5, with a pool of 1,373 candidates. That number was then cut in half after candidates completed written questionnaires or were individually questioned. When judges convened on Tuesday, 75 potential jurors remained. Each side — defense lawyers and federal prosecutors — were then allowed to eliminate 23 candidates each. The final 18 includes a man of Iranian descent, a telecommunications engineer who was present at Massachusetts General Hospital on the day of the attack, and a house painter who says he wants “to serve my country,” CNN reports. Every member of the jury said that they are willing to consider sentencing Tsarnaev to death, which is a requirement to sit on death penalty cases. Only four said that they believe Tsarnaev is guilty, but they are going into the trial open minded. But whether or not everyone approves of the jury team that’s been selected, the show must go on. The 18-member jury, six of whom will end up serving as alternates, will be deciding whether Tsarnaev is guilty, and if they find him to be, they might have to decide whether to impose the death penalty. Tsarnaev has pleaded not guilty to 30 charges, 17 of which carry the possibility of the death penalty. 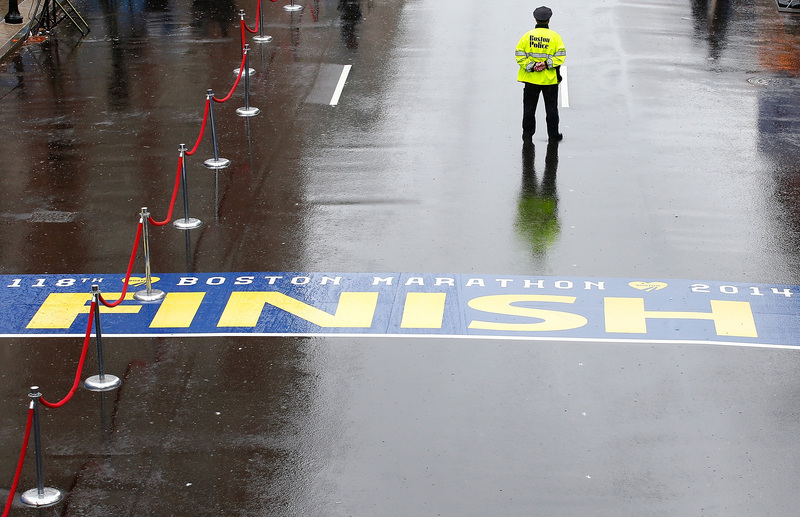 The Boston Marathon bombing in 2013 left three dead and more than 260 injured. The trial is expected to last through June.